Many members of this family are seriously toxic. 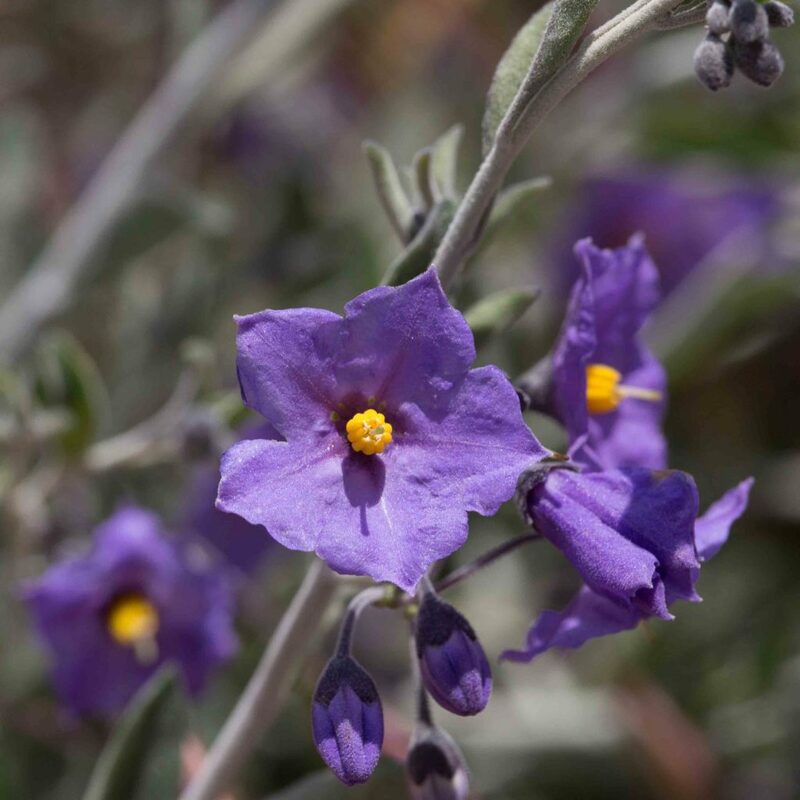 The name Nightshade, especially when prefixed by “Deadly” rather gives the game away. 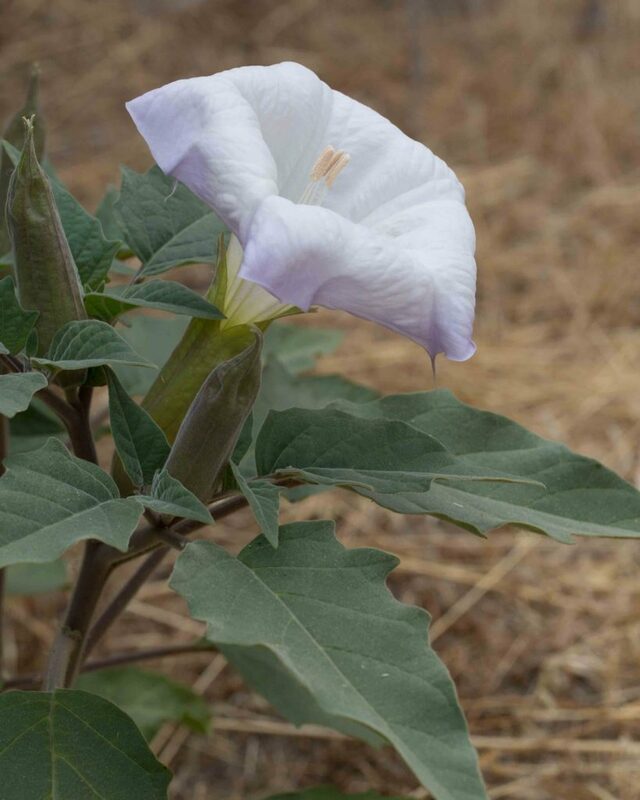 The genus Datura is notoriously toxic and hallucinogenic. 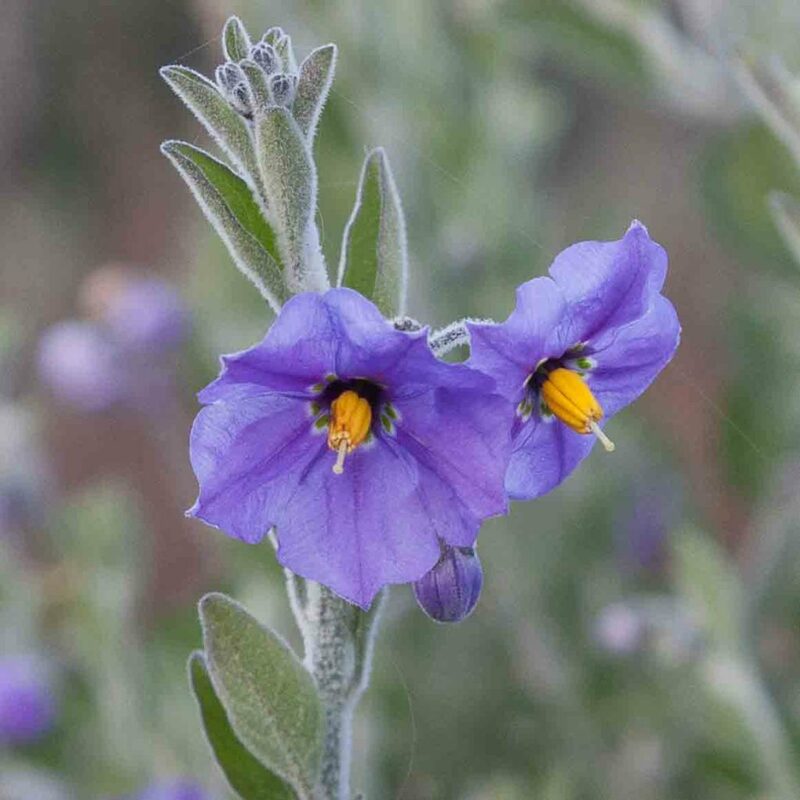 Even such culinary staples as potatoes, tomatoes, bell peppers and eggplants, which all belong to this family, can be toxic if the wrong parts (e.g. 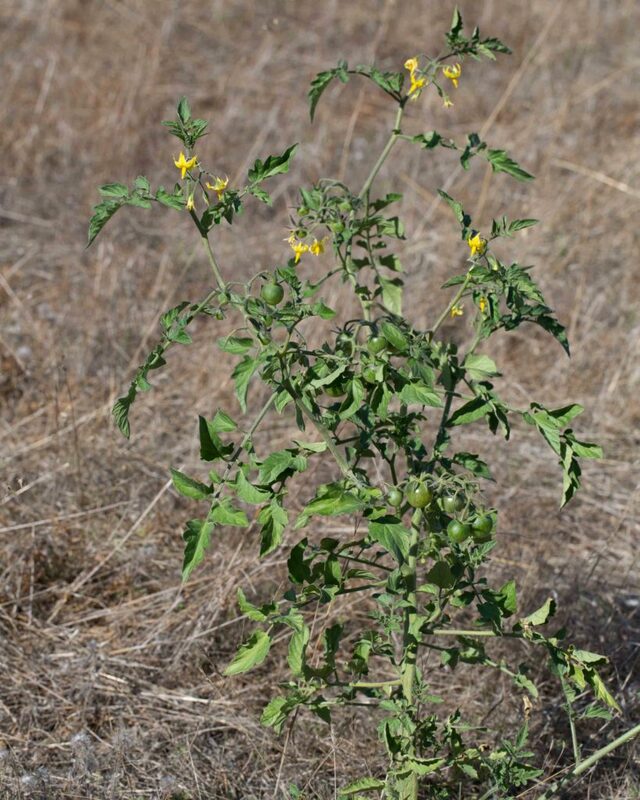 the green parts and unripe fruits) are eaten. 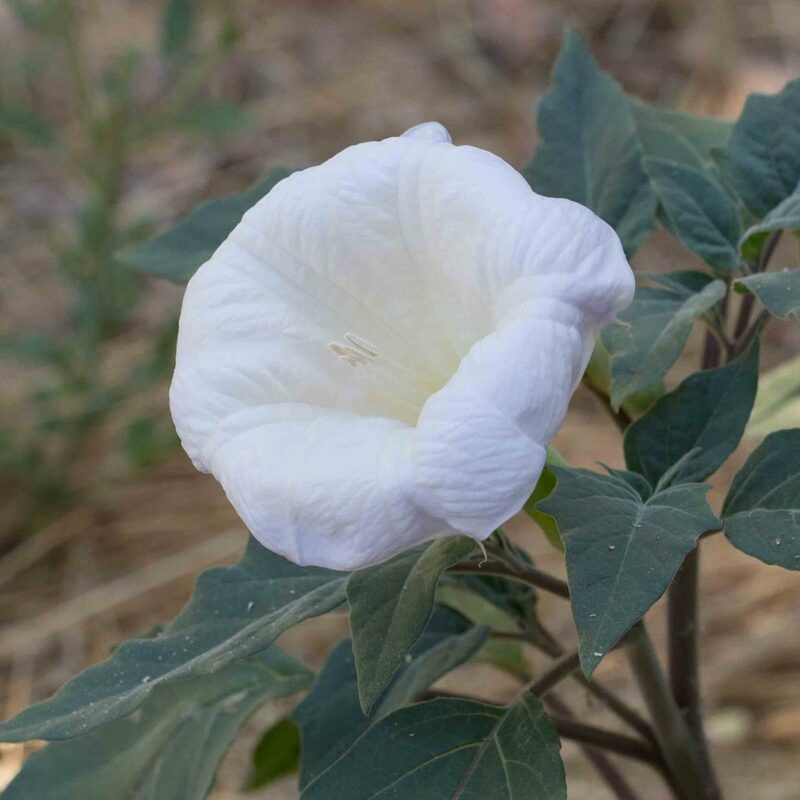 This plant is easily recognized with its large (15 cm), sour-smelling, glabrous leaves and its white to violet tinged, trumpet-shaped flowers, 6–9 cm long with 5 sharp-tipped lobes. 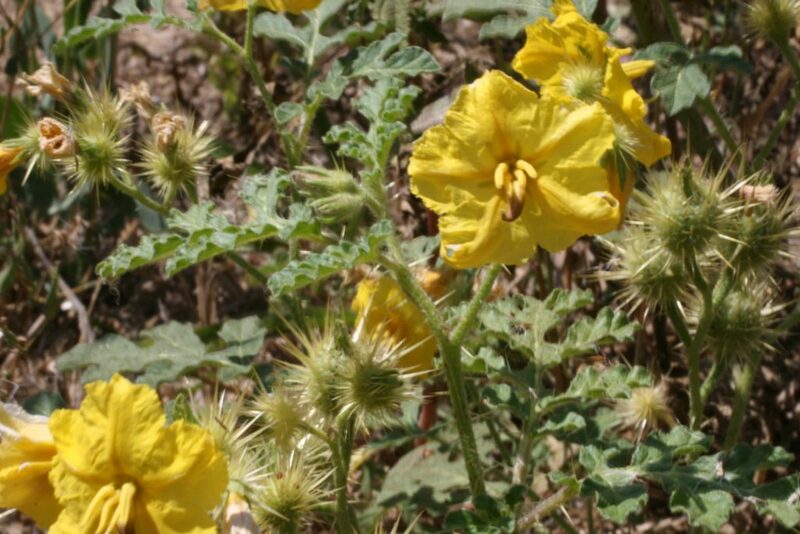 The fruit is large, erect and oblong with stiff prickles. 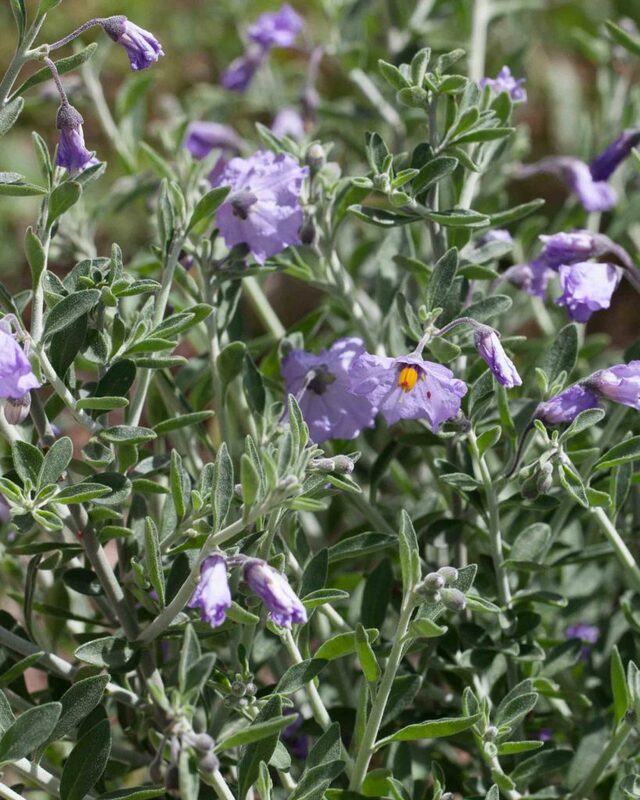 The flowers open in the evening and close early to mid-morning. 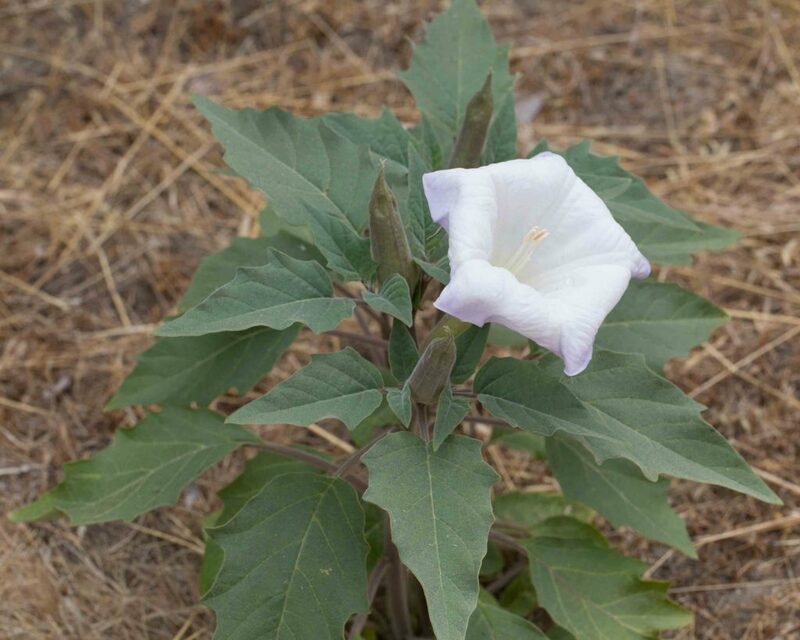 This plant resembles Jimson Weed (Datura stramonium) but with several differences. 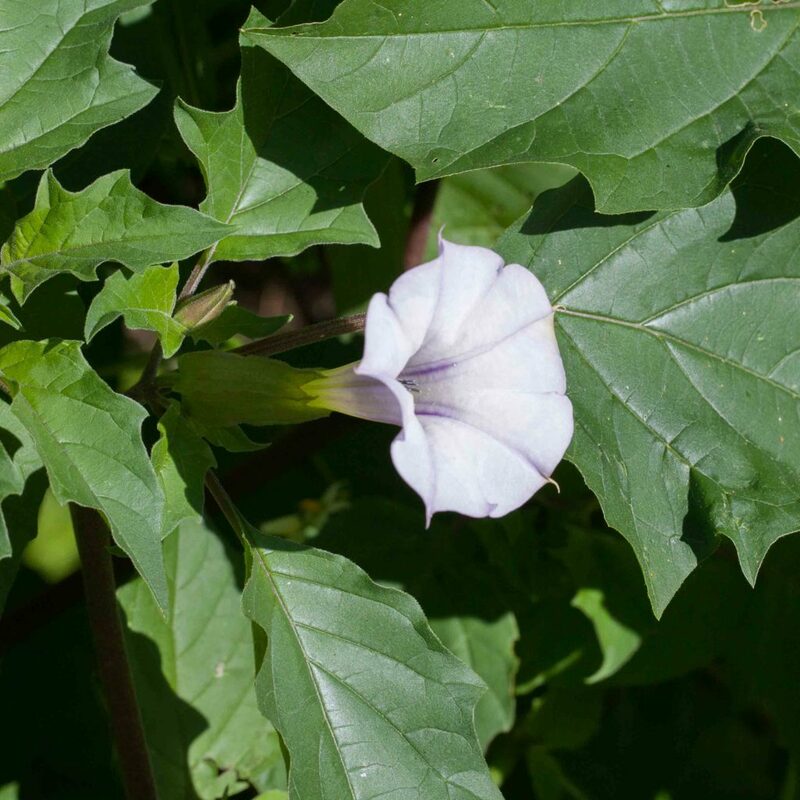 The large leaves are felty with a strong, sweet smell and the white to violet tinged, trumpet-shaped flowers are larger (15–20 cm) and often have rolled back margins. 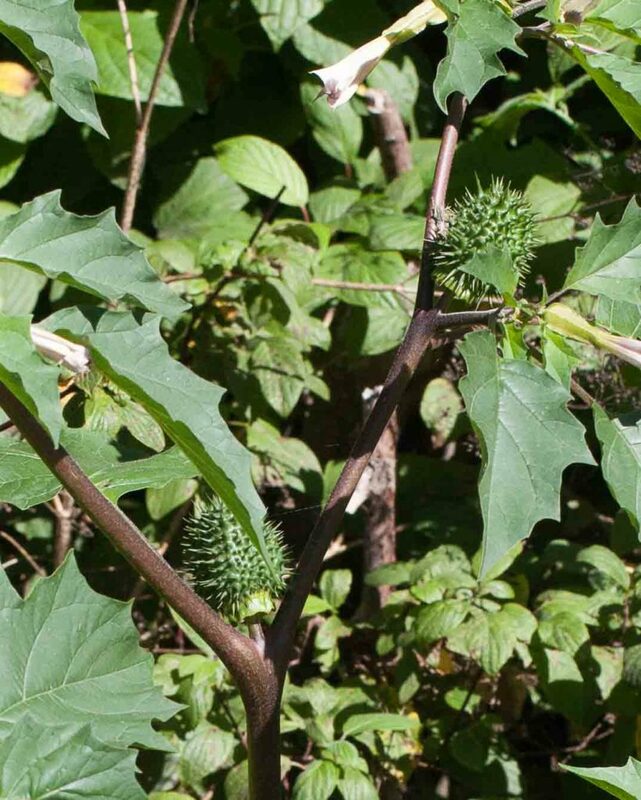 The fruit is pendulous rather than erect. 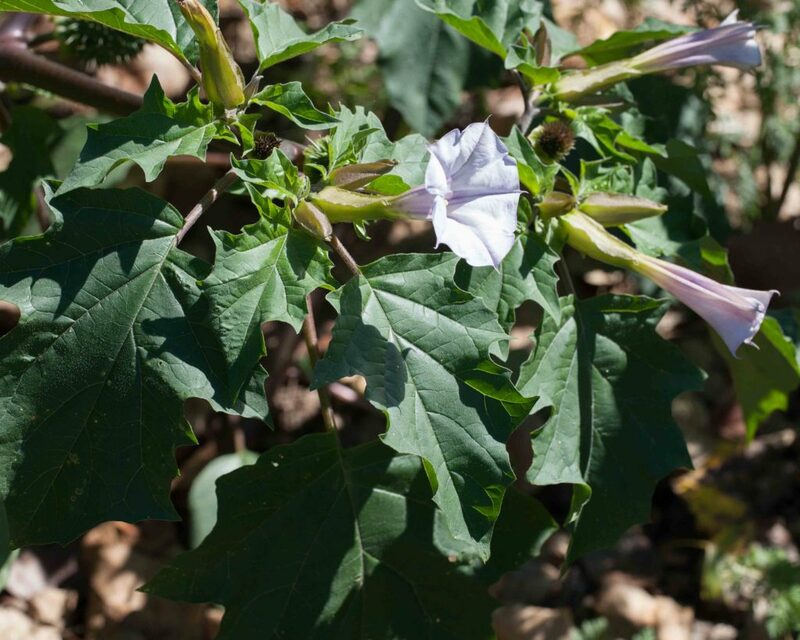 It shares Jimson Weed’s hallucinogenic and toxic properties. 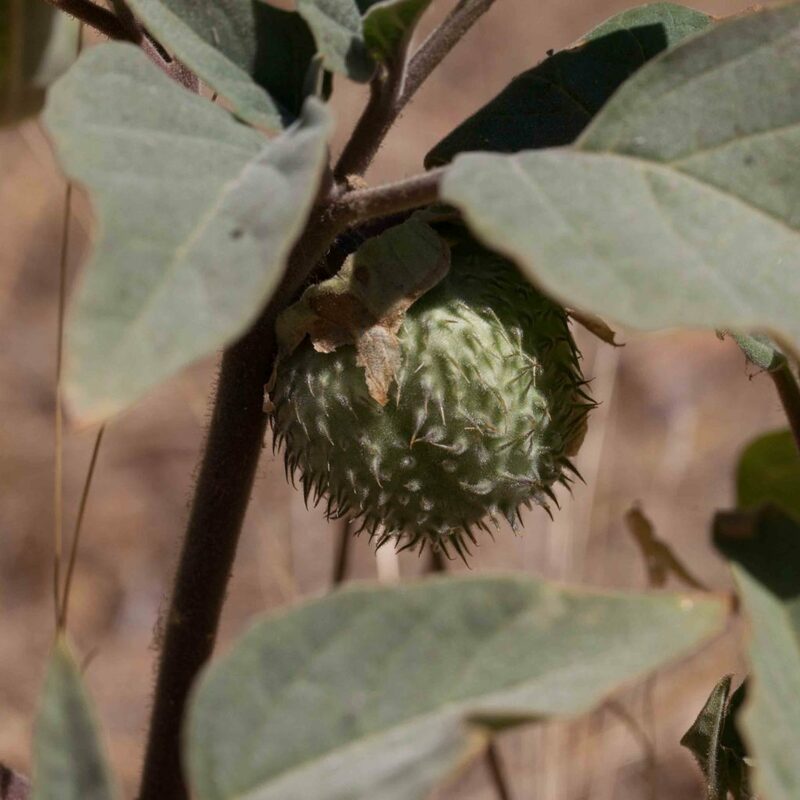 This plant, or at least its fruit, needs little comment. 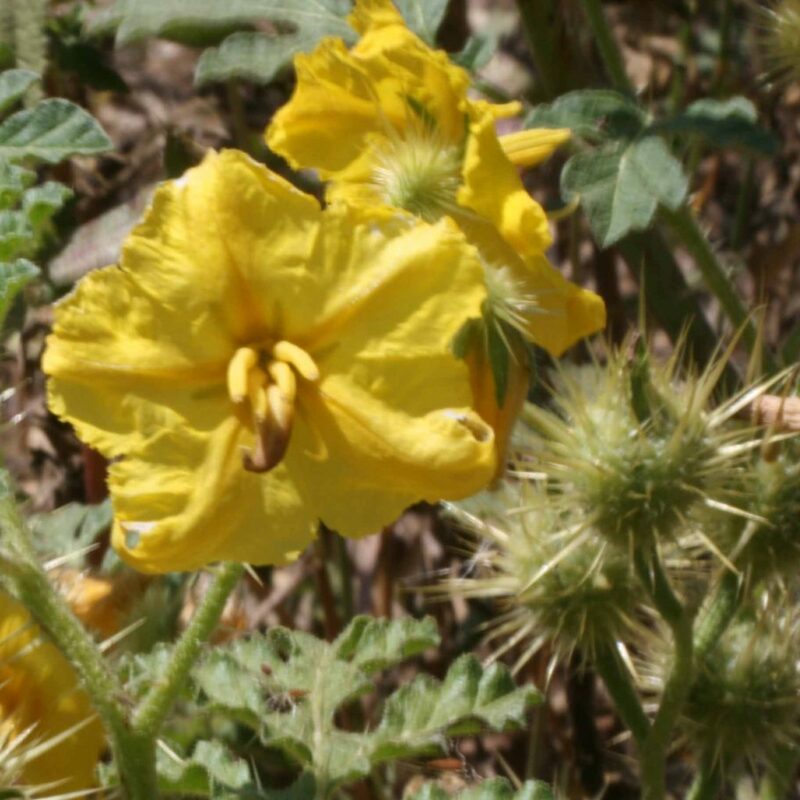 Occasionally escaping from cultivation, it is easily recognized by its yellow flowers and, when they appear, its fruits. 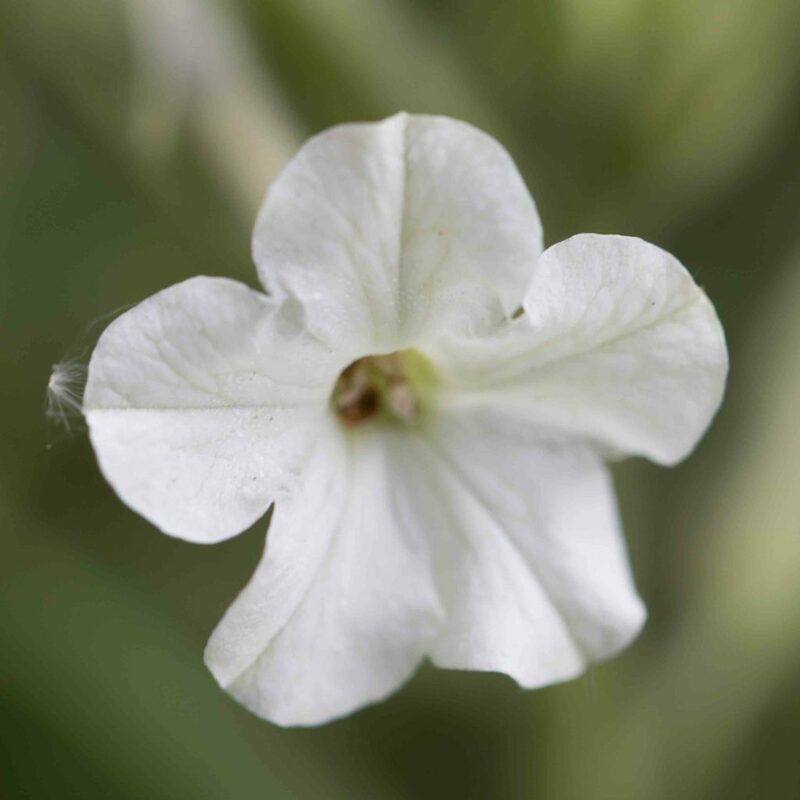 The long tubular flowers which are fully open for only a few hours in the morning are immediately recognizable as a tobacco. 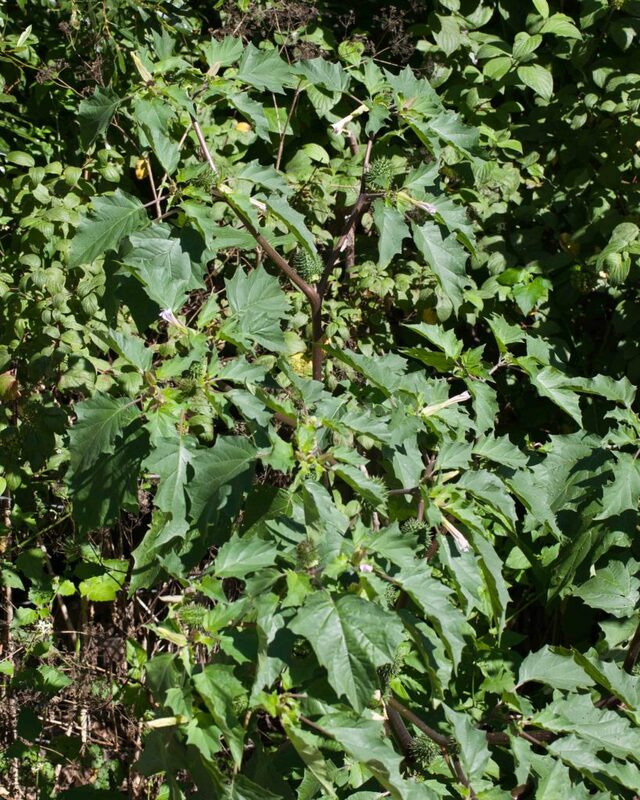 The plant itself is very leafy, the leaves being petioled and ovate, the upper leaves reduced in size, densely glandular-hairy and with a strong, unpleasant smell. 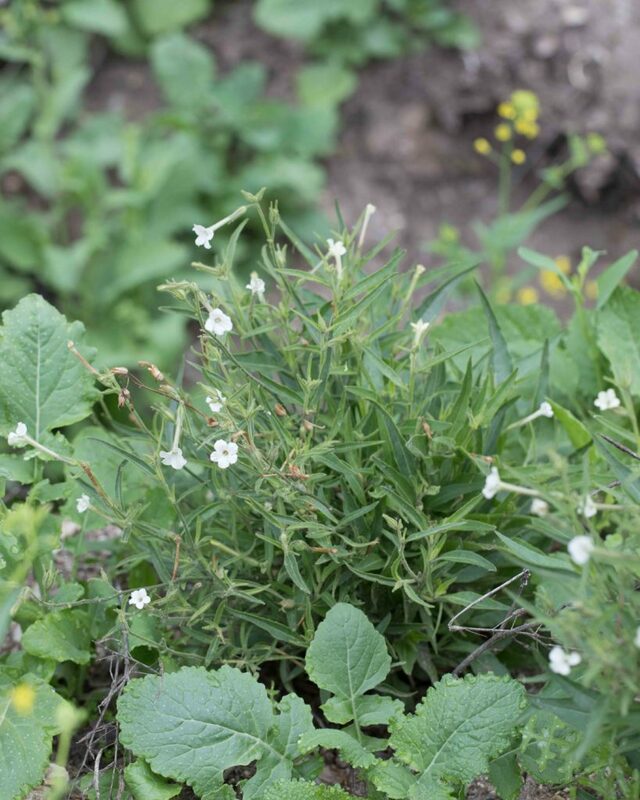 This species is identified by the dark green stripes on its narrowly lanceolate calyx lobes. 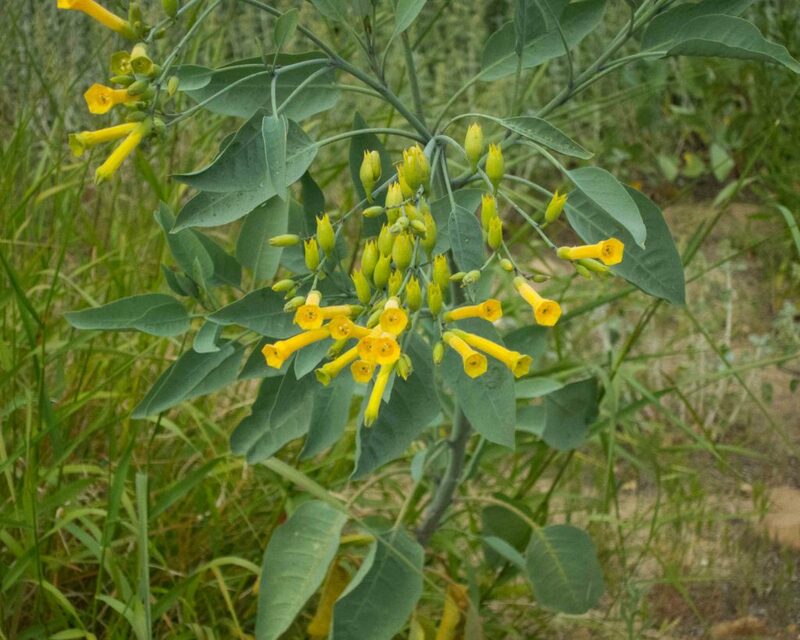 The plant is apparently not uncommon in the south eastern parts of the county within the Diablo range but has only recently been found elsewhere. 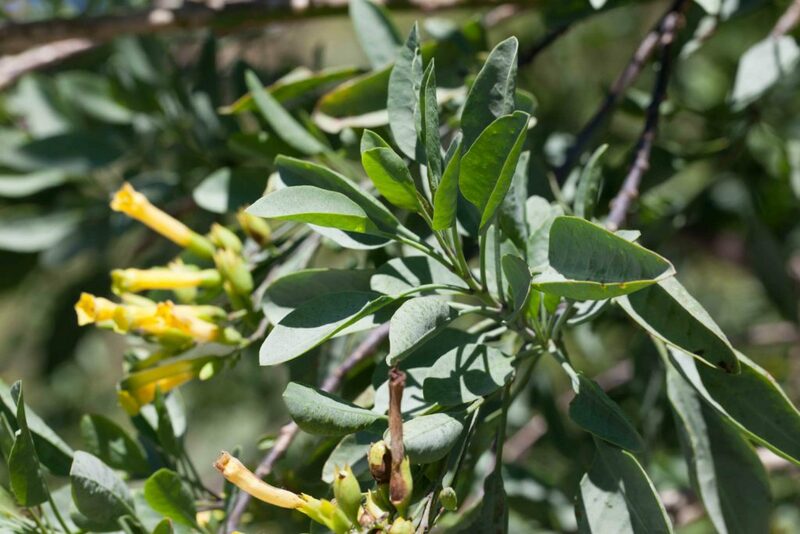 This is a large shrub or small tree with many clusters of narrow, yellow tubular flowers (3–3.5 cm long) with slightly flared lobes. 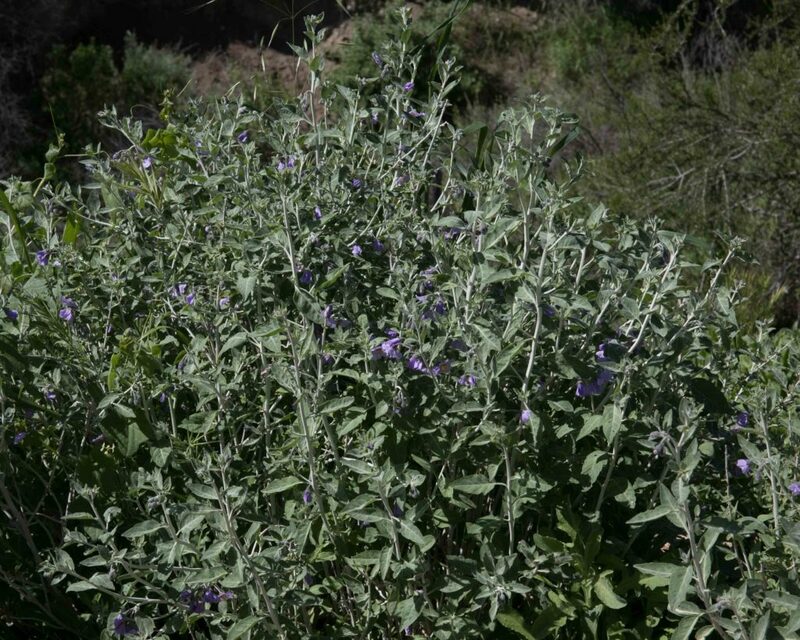 The leaves are glaucous and bluish in color, broadly ovate and 5–21 cm long. 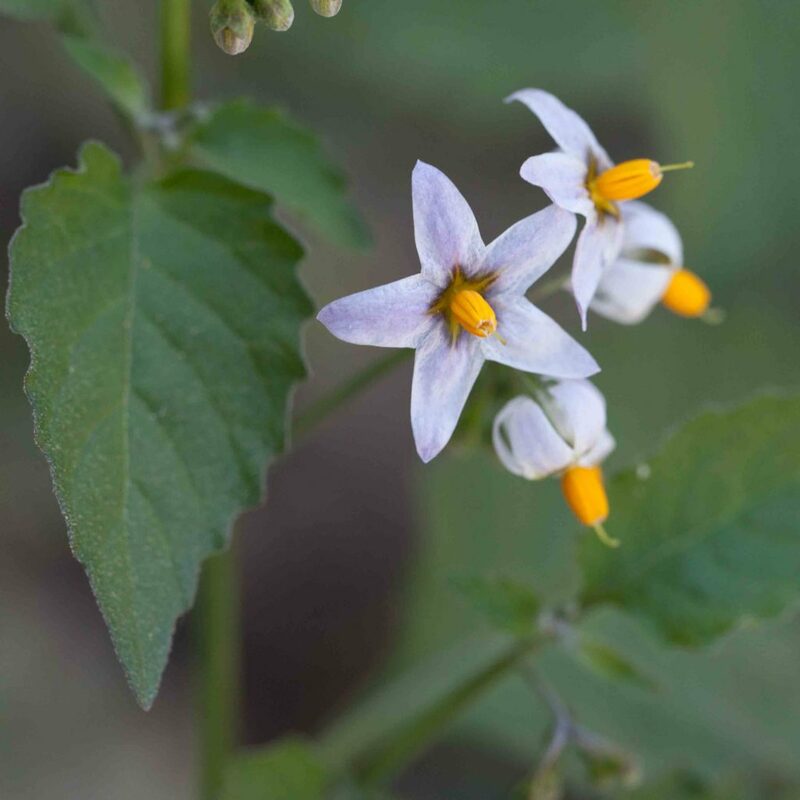 This is similar to the more common Douglas’ Nightshade (Solanum douglasii) buts its flowers are smaller (3–6 mm across), white to pale lavender and its styles project less (or not at all) beyond the anthers. 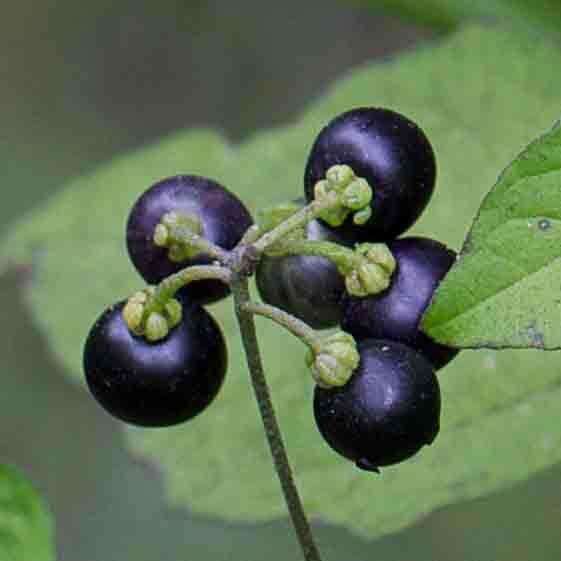 More important, the sepals are strongly reflexed at maturity, most noticeable on the glossy black berries. 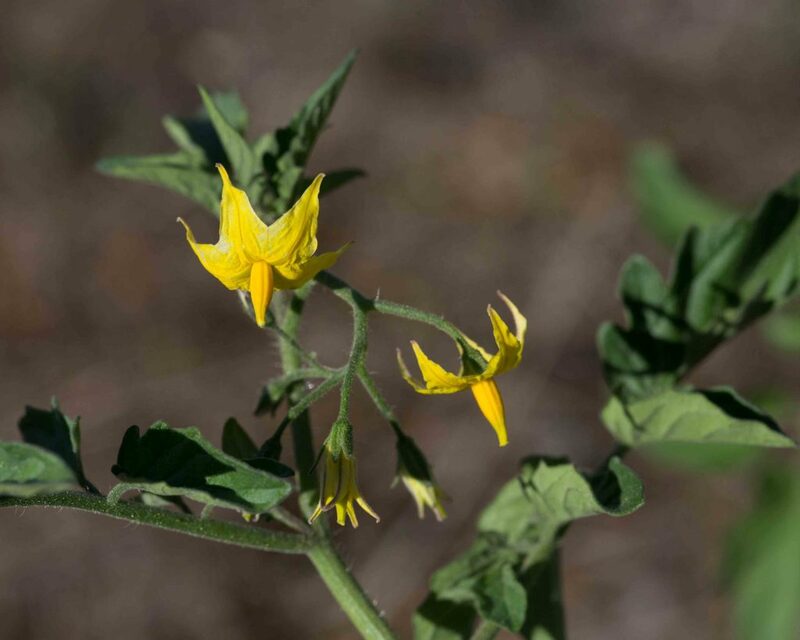 The flowers are arranged in definite umbels, often pendulous, especially in fruit. 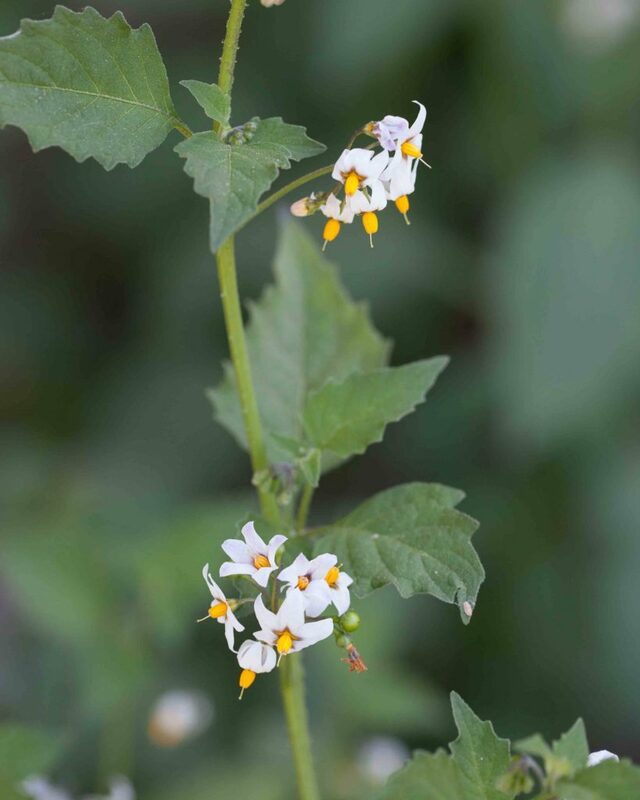 This is a common straggling shrub with small (about 1 cm across) white to lavender flowers in loose umbels. 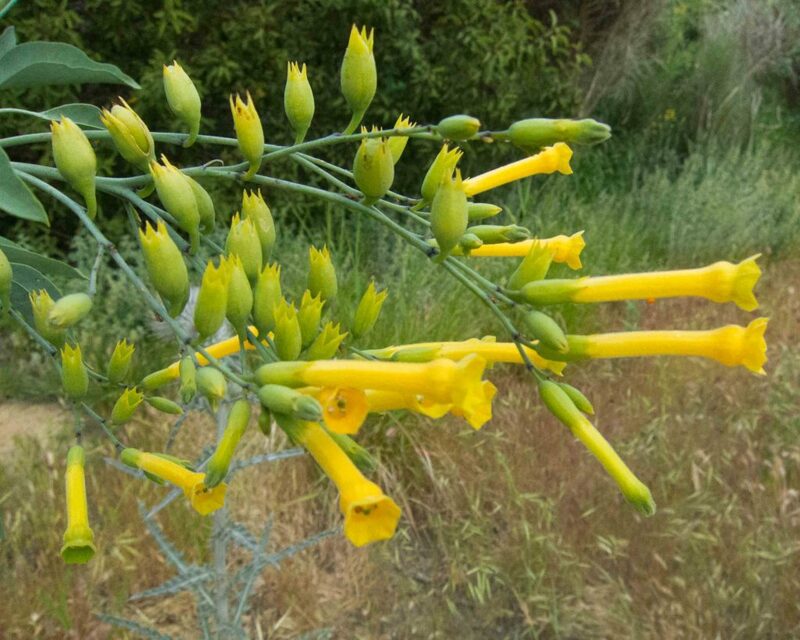 The bright yellow anthers are much longer than the filaments and more or less adhere to form a cylinder round the exserted style. 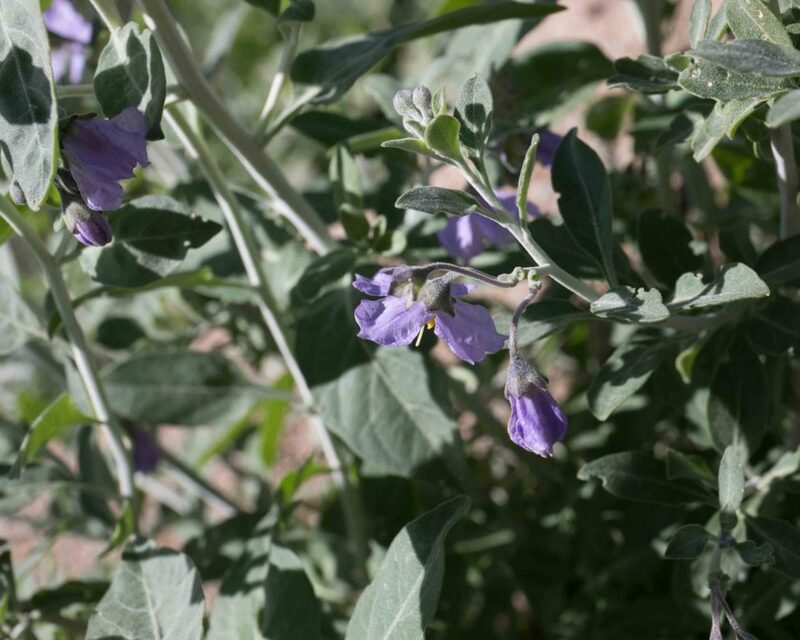 Note that the sepals are not or only barely reflexed in fruit (unlike Small-flowered Nightshade (Solanum americanum). 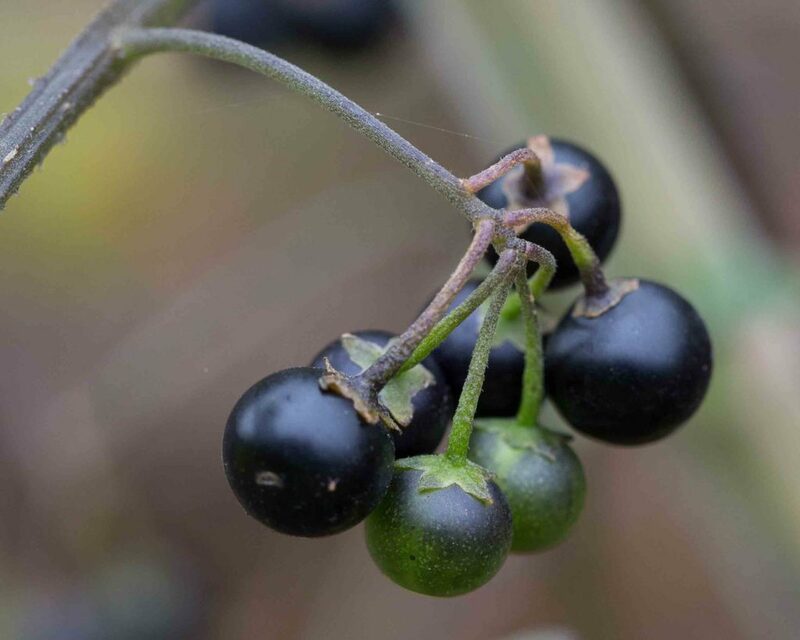 The poisonous berries ripen black. 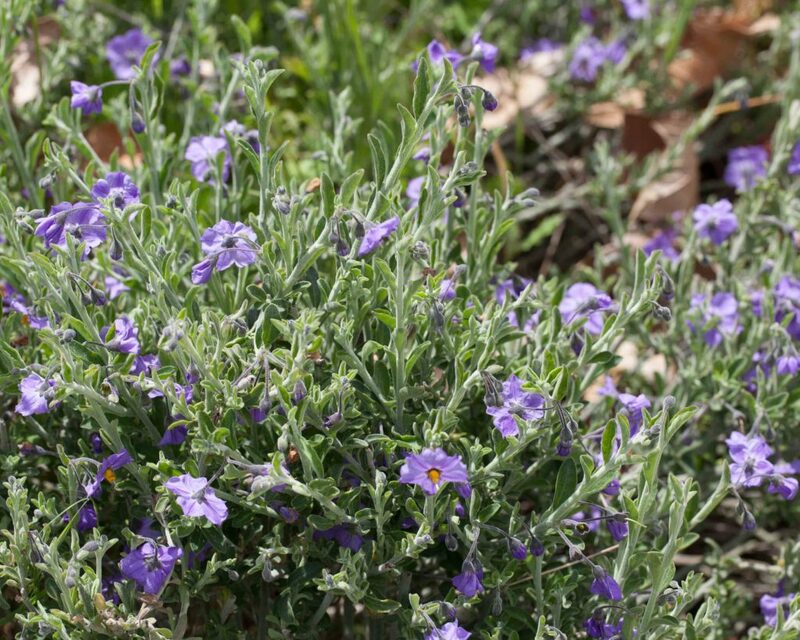 This is a common, densely hairy, leafy shrub with many lavender to blue-purple flowers. 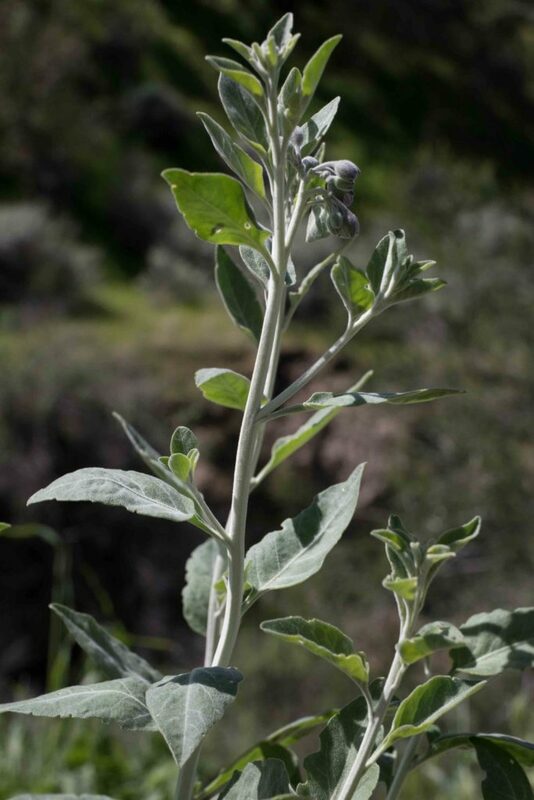 The leaves are 1–4 cm long, soft grayish-green, elliptic to ovate and generally entire. 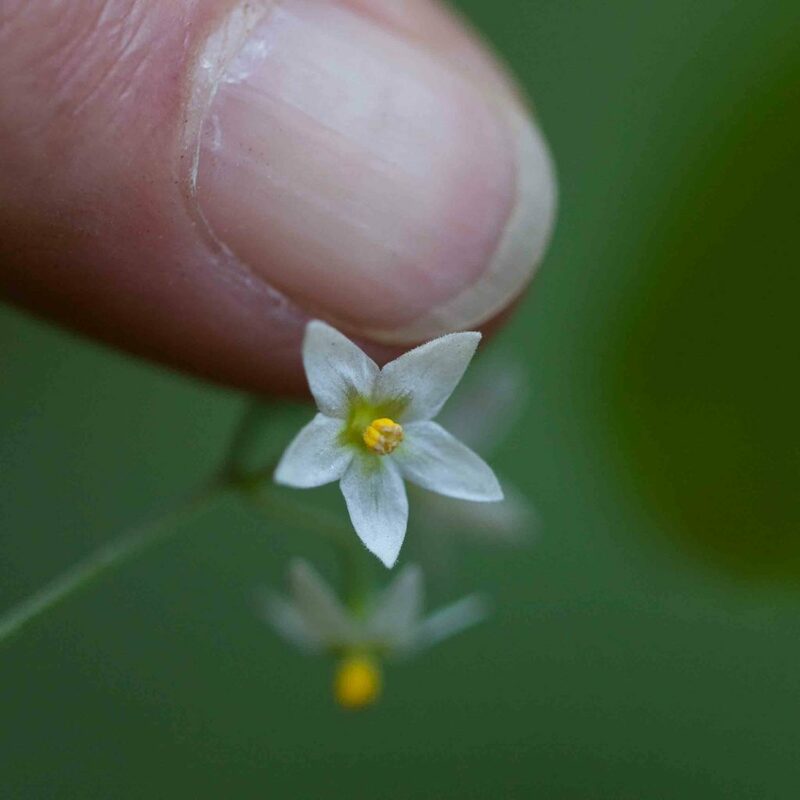 Flowers are 16–25 mm across with thick yellow anthers surrounding the style, and with two small green-centered white dots at the base of each petal. 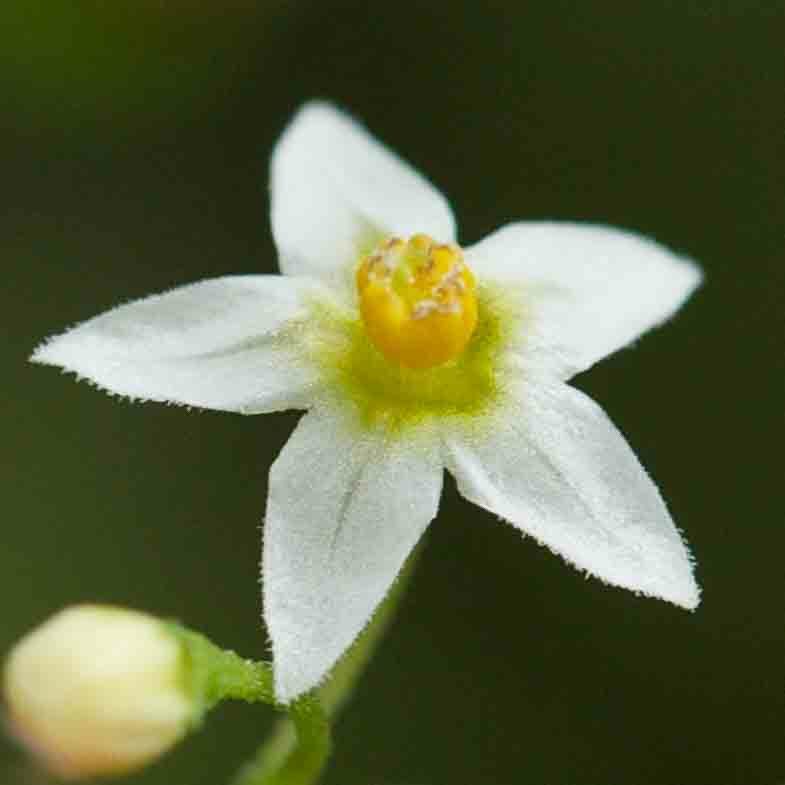 Fruits are white, green near the base. 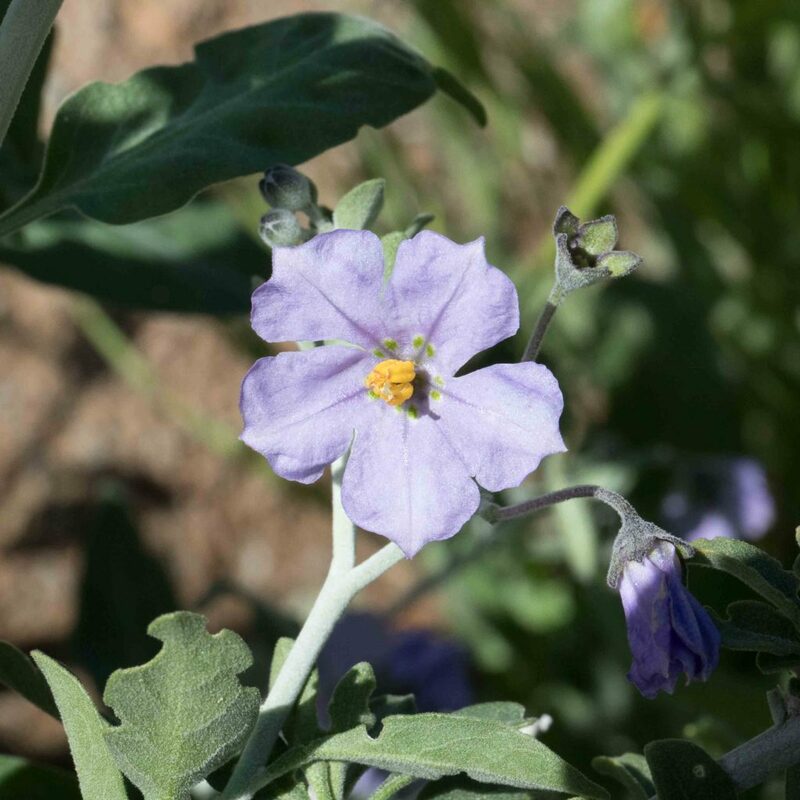 This is similar to Blue Witch with similar flowers but far less common. 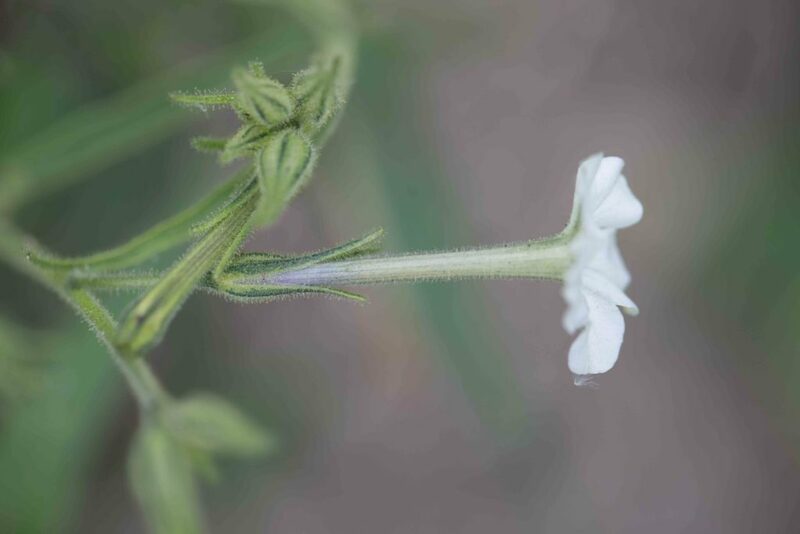 There are subtle differences in the hairs on the stem but the most noticeable difference is in the leaves which are larger (2–7 cm long), lanceolate to ovate with an obtuse to cordate base and entire or one or two-lobed at the base. 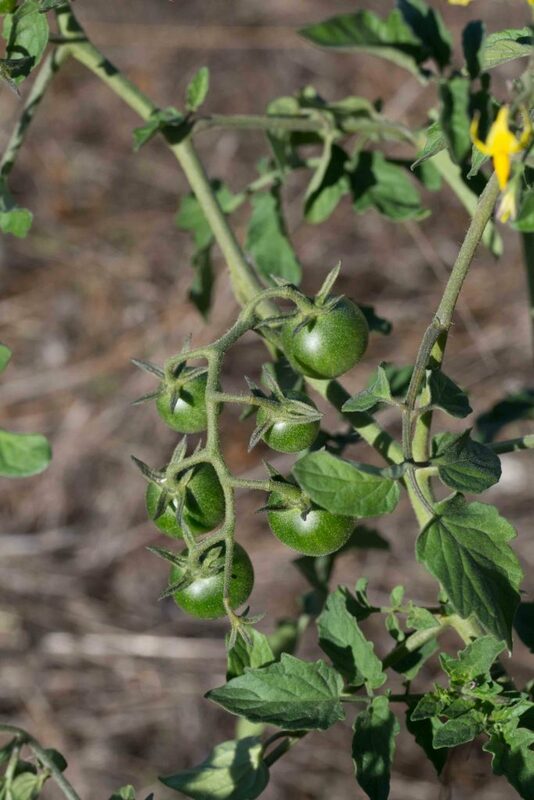 Fruits are greenish. 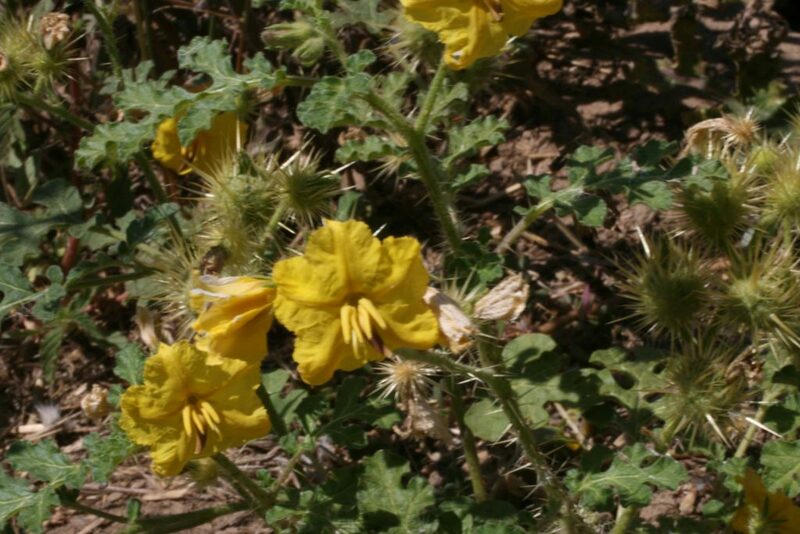 This is easily recognized by its large, bright yellow flowers and its densely prickly appearance, especially its fruits. 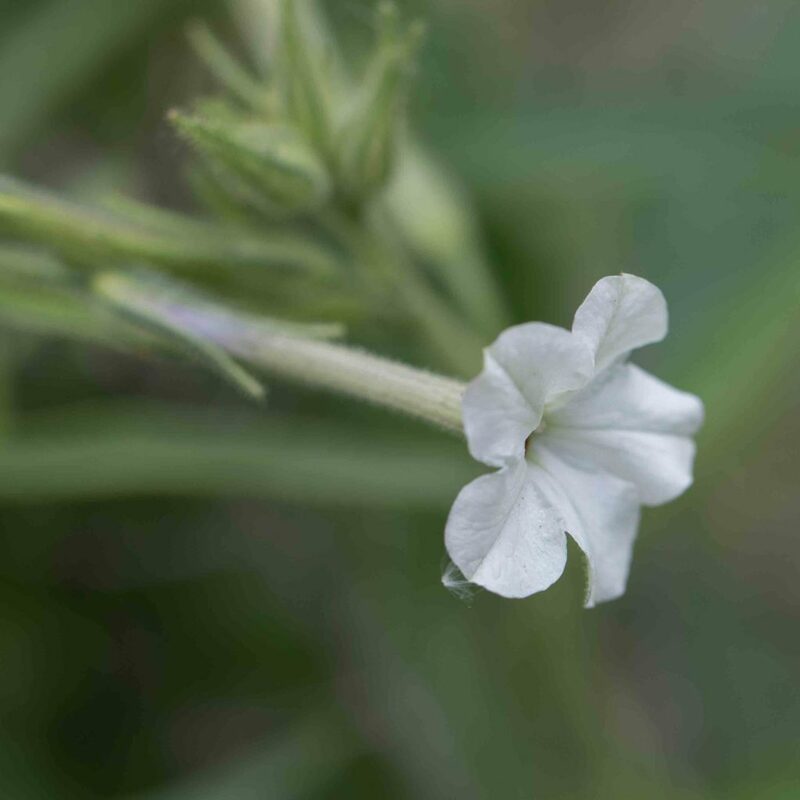 The anthers are the same color as the flower, unequal in length with one curved; the style also is curved. 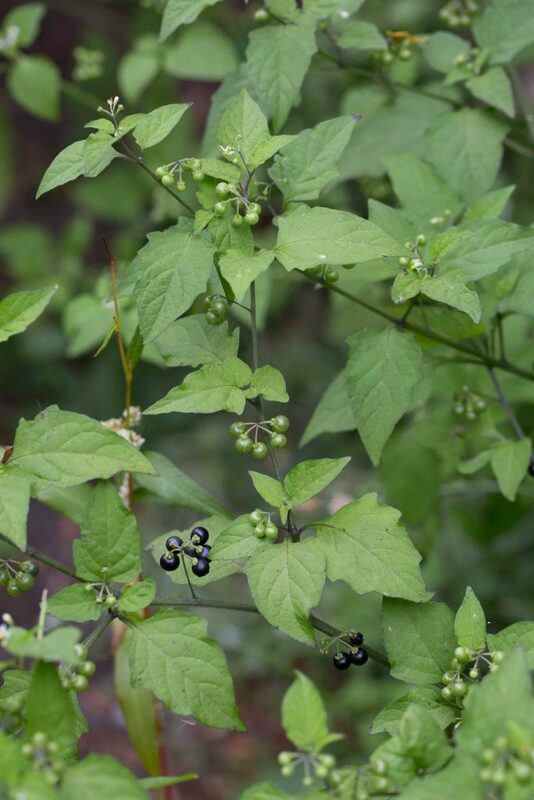 Leaves are 5–15 cm long , coarsely textured with deeply cut lobes. 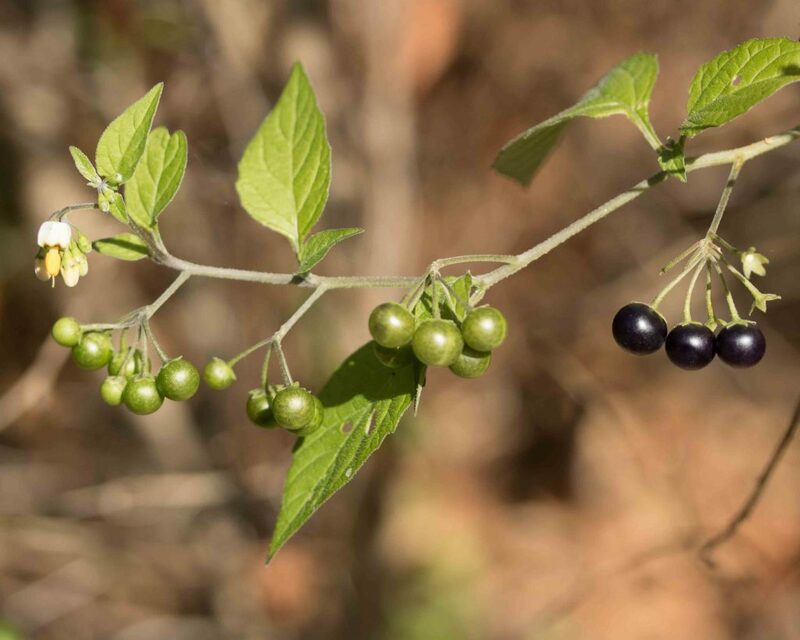 Note: sometimes commonly called Buffalo Berry, but this risks confusion with Shepherdia argentea, a member of the Russian Olive family (Eleagnaceae), which has more approachable fruits which were apparently used as a flavoring for bison meat.